Have you taken time today to remember how many ways you are blessed? 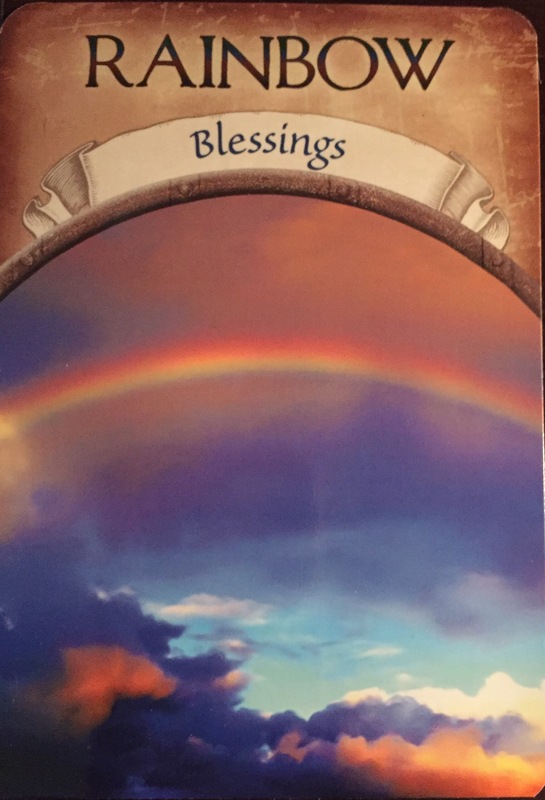 If you haven’t, please take a moment now to think of all the blessings you have experienced today, and all the ways you are continually experiencing blessings. Remembering your blessings is an important part of any spiritual/awareness practice. You are a master creator! What you set your attention on is what you create in your life. If your life is not what you want it to be, you must look at where your attention rests. If you are always complaining about how hard and unfair your life is, that is exactly what you are going to experience. Now imagine that you shift your attention to all the ways your life is blessed, you will create more experiences of receiving blessings! When you are experiencing, what at the time are difficult and trying experiences, it is hard to see the blessing. Often it is not until time has passed and you can look upon it with a fresh perspective and you will see the blessing that you had missed when you were experiencing it. A rainbow can only occur when water and sunlight come together. When they come together beautiful prisms are formed through which light flows through and is shown in a beautiful array of color. This is symbolic of our experiences in life, seemingly disparate forces are at play, and it is not until we have come through the experience and look back upon it, that we can see that a great alchemy was in process, and the beauty of the experience can be seen in all it’s hued layers.